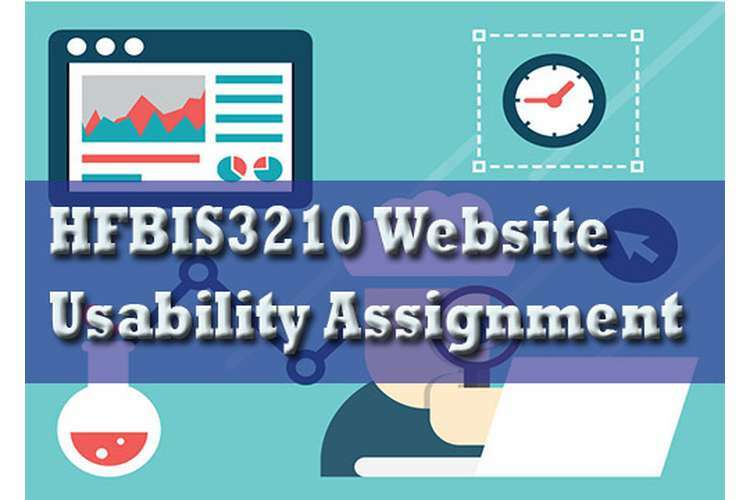 This HFBIS3210 Website Usability Assignment a lot of aspects and parameters. It doesn’t get defined by any single feature. For example a website may be excellent in features like ease of navigation but very poor in color contrast which would make it very low of website usability index. For any website to be generally high on usability it is very important that a good and healthy blend of all features should be used in an optimal level. 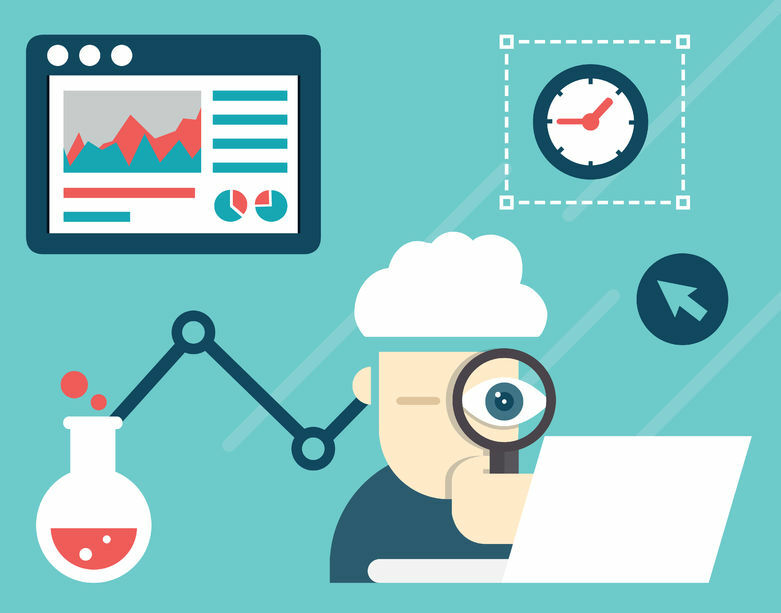 This report is aiming to identify and analyze various features of a website to determine its ease of use and then provide recommendations to the owner to make an improvement in the website. Usability of a website or any gadget for that matter should not be determined by the usage pattern of a highly educated or experienced in handling high end equipments individual but it should be judged by the fact that how an average user is able to negotiate it and how does he perceive the website. In order to maintain the word limit and crispness of the report recommendations would be specific in nature and issues would be marked in a specific manner with as less ambiguity as possible. Methodology for this report would be purely based on evidence based research and a specific website would be chosen as per the liking of student. Chosen site would be navigated and analyzed by the student in an objective manner and then recommendations will be made. Usability features involve a lot of aspects like color schemes’ size and legibility of text’ navigation to various links’ advertisement and pop ups blockage if they are not required by the website only. It has been observed that various website does not have many applications and services involved so there analysis on various aspects cannot be done for example a knowledge portal for student have a lesser chance of having e commerce application or a simple e commerce related website will not have a large quantity of text information on website. To make our research an analysis wholesome and extensive the website which has been chosen is official website of One of UK’s leading bank known as a co-operative bank of UK. URL for the website is given below this section. This website is used by multiple users like employee of the bank for knowledge gaining and help related to their job while customers of the bank use this website for various financial services and accounts related queries. Institutional investors’ share brokers use this website for blockage of stocks which are available as IPO or FPO. Students also visit this website to understand the corporate structure and working of a huge national bank. For their benefit website has been provided with sufficient information technology about structure’ working and various services of the bank. In essence this website has been developed by the owners in such a manner that it should be fulfilling the requirements of three different groups’ employees’ customers and investors’ students and general researchers. This particular feature makes this website an ideal selection and it also have the e commerce and bank transaction application which makes the security as one of the strongest feature of website. Website is analyzed on various features demonstrating the strength and weakness of the website in an objective manner. This feature is the introductory feature of a website and it should be as less as possible because from this point onwards a user will start building his perception about the website. Co-operative bank of UK is reasonably good in loading time parameter. Loading time for the website is measured to be 1.5 second on a broad band connection. Although connections with high speed internet are available in major parts of the world loading time is still a critical factor for the users. Patience of the user is lowering on a regular basis which makes it more important for a owner to ensure that his website gets loaded within reasonable time. Researchers and academicians argue that to ensure rapid loading website should be below the critical mark of 100 kb which this website is. Text to background contrast is the basic contrast of a website and its written text which determines the legibility of a website. In majority of website the classical old school black and white contrast is used. Stylishness and attractiveness of a basic contrast is appreciated but if a website is to be used for a longer time by the user than it is deterministic that his or her eyes should not be strained by the contrast and website is comfortable in appearance. Website of co-operative bank of UK is not ideally suitable in basic contrast parameter because this website uses a basic white background and text is available in dual colors. Black text is used where text is not surrounded by any other color but in major portion blue color is surrounding the text because it demonstrate the logo and corporate color of cooperative bank of UK. When a corporate color is used as a surrounding color for text on website the text color is kept as white. This feature is slightly straining for the eyes reducing the usability of the website. Font size of the web text is kept at 12 which is neither two large and neither two small for a person to read. Font size of the website is although kept at 12 spacing of the website review is a criteria where co-operative bank of UK’S website have gross irregularities. Content is provided in such a manner that spacing between two services or categories are never similar. Many different portals or services are either two close to each other or there area is not in resonance with their importance in the banking services. Webpage is designed in such a manner that approximately 2-3 inches space is left blank on right side similarly 2-3 inch space is left blank on the webpage. Reason behind this type of design is not understood very clearly because webpage is cramped with the content in such a manner that it shows there is a lack of space for the content which should be present on a bank’s website while on the other hand there is space left blank on both left and right side. This feature is one major point of questioning as well as obstacle in usability heuristics of website. On a vertical level webpage is slightly elongated making it unfit on one single screen webpage. Slider bar is to be used vertically to view the entire webpage while horizontally there is space available. Main navigation system’s ease of use is also very important feature of a website. In this website management and data system is developed appropriately making it easier for an average user to navigate the website easily and understand its navigation pathway. All though as a usage standard most of the financial services websites are developed in such a pattern that main webpage have links to various portals. These portals provide various services like online transfers’ scheme related details’ credit card and debit card related queries etc. this website is using the similar pattern of cross navigation and forward navigation which is standard for these type of websites. Text to HTML ration demonstrates how much of the text present on main webpage have a forwarding link attached to it. Since bank provides a lot of services and information to its customers it is inevitable that webpage will not have html link attached to it. However it should be understood by the designers that a very high ration of text to html de-motivates the user because every other directs to another webpage. An average user has queries which can be solved by giving the basic information. Ideally basic information should be provided on main page and then for further information forwarding link should be provided at the end of content. This will solve minor queries there only and an interested user will navigate to the forwarding link. Cooperative bank of UK’s website have an above average html to text ration making it slightly difficult and de motivating for an average user. In countries like UK citizens belonging to various culture’ religions’ race and language resides and It is not necessary that all users especially users belonging to foreign countries are similarly well versed with the English. There is one major obstacle associated with the cooperative bank of UK’S website which reduces its usability drastically. There is no option present in the website where user can change the language of the website to any other language or even check the meaning of a particular word in another language. This feature limits the usage only to individuals who are proficient in English language. Co-operative bank of UK provides services in multiple sectors like banking’ insurance and investment through its website however all services are related to financial dealings there is a huge difference in the user’s requirement and knowledge level. Cooperative bank’s webpage offer services for all three sectors in a section where no categorization or separation is offered. This feature clutters the website and confuses the user slightly. There is also an added stress of searching and identifying the required services from all services offered. Webpage of cooperative bank of UK is designed in such manner that there is very less demarcation in entire website about different services or categories. This feature might possibly be included to demonstrate that all services are offered under the same umbrella company and they are responsible for all of them but it can also be done by developing three spate webpage for each sector and each will developed using the color and logo of the company. Main webpage will have only forwarding link for all sectors and user can enter the sector he is interested in and then look for services. This feature would have also reduced the load on webpage by reducing the size of the webpage content. Consistency and ease of identification of website can be demonstrated by the feature like similar type of text style or color is used for a forwarding link text. This will help the user in identifying which text is plain text in website and which text is used as a link for more content. This feature is slightly overlooked in this website all though some degree of consistency is being achieved by using blue color text for the hyperlinked text. However in HOW CAN WE HELP category of website hyperlinked text is present in black color making it confusing between blue color texts of other categories. This feature also breaks the otherwise consistent pattern of the website. Some features like using bold letters to stress on attractive feature of any scheme is fine but there is a over usage of this feature as every line of text in this website have one or two words marked in bold fonts. Bold fonts also gives the illusion that this word might be linked to another webpage which makes a user to go to the bold word and click it. These two features slightly reduce the consistency and attractiveness of otherwise smooth and consistent text pattern of the website. Based on analysis of various features of website of co-operative bank of UK some recommendations are developed which if implemented properly will help the owners in enhancing the usability of the website for users. Adding a dual language feature on the main page of website will enhance the easiness of the users in understanding the content of website. Second language which can be used as a alternative language can be based on number of foreign customers who regularly visit the site of bank. Alternative language part can also be achieved by using services of translator software or using software which provides synonyms of a word in multiple languages. To improve upon consistency and ease of identification all hyperlinked text should be present in single color and pattern. Text to HTML ration is needed to be reduced and feature like find out more should be sufficient for further information rather than using both find out more and hyperlinked text in content. Spacing and designing of website should be done in such a manner that it should be adaptable on latest operating systems and browsers. Webpage should be able to open fully on browsers like Google chrome and operating system like windows 7 because these systems are rapidly spreading all over the globe. Regular updating and conversion to make them suitable for latest operating system is very important. Service and sectors present on the website should be categorically separated and present in such a manner that each category should be easy to identify and it have all services listed in it for the user’s pleasure and comfort. Corporate color and logo usage is very important for the website and it should be done but proper arrangement should be made so that background to text basic contrast should be converted to simple combinations like black and white or black and grey for all text.